Over our more than two decades of business, the team at Sunrise Irrigation & Sprinklers has installed thousands of sprinkler and irrigation systems in homes and businesses across Tampa Bay. We’ve worked with virtually every irrigation product under the sun, and have encountered and tackled nearly every obstacle, issue, and complication imaginable. If you have questions about your Florida irrigation system, we’ve probably got an answer. If we don’t, we’ll put the time, energy, and resources in to find one! Feel free to browse our list of frequently asked questions below. If you don’t find the answer you’re looking for, contact us directly with any issues or concerns about your sprinkler system. 1What should I look for in a lawn sprinkler system? A well-designed and properly installed sprinkler system should conserve water, providing just enough to keep lawns lush, green, and healthy. Your sprinkler system should be made of professional grade materials, installed by a licensed lawn specialist, and be able to provide you with smooth, stress-free service for years to come. 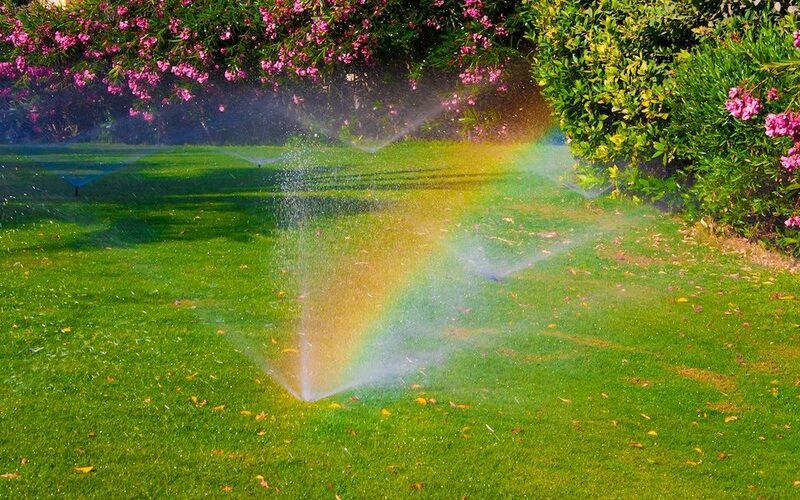 We encourage you to contact us at Sunrise Irrigation to talk to a technician about what type of sprinkler system will best suit your unique landscape and needs. 2Do I need a technician to install my sprinkler system? Though you can find do-it-yourself guides, it’s generally advisable to hire a qualified technician to install your sprinkler system. A certified and licensed technician will have years of experience designing and installing the most efficient and cost-effective sprinkler systems. Sprinkler specialists also have access to professional equipment that can help ensure the job is completed smoothly and in a timely manner. And landscape professionals will be familiar with plumbing and electric codes, and will be able to design and install your sprinkler system in a way that complies with local and regional requirements. If you are looking for a technician to install your sprinkler system with skill and efficiency, contact Sunrise Irrigation. 3How do I choose the right irrigation specialist? You should choose to work with an irrigation company that has extensive experience and can provide references to past customers. Before you decide to work with the company, a specialist should visit your property to meet with you, survey your property, discuss your needs, and provide you with a free estimate. We encourage you to call Sunrise Irrigation to talk to a seasoned sprinkler specialist who can provide a complimentary estimate for your project and offer suggestions based on your specific lawn and what you’re looking for. 4Does my sprinkler technician need to be licensed and insured? When you hire a licensed contractor, you can be sure that you are getting experienced, quality service that complies with industry and local Tampa Bay standards. It’s equally important to hire a licensed contractor to ensure your property is protected should something unexpected occur down the road. The technicians at Sunrise Irrigation are all fully licensed, insured, and certified in landscape irrigation auditing. When you work with Sunrise Irrigation, you’ll work with sprinkler professionals you can count on. 5How much will it cost to install a sprinkler system? The price of your sprinkler system and installation may depend on many different factors, including the type of system and products you use, the size of your property, the type of landscaping, and any special designs. Call Sunrise Irrigation today for a free estimate on your project. 1Do I need to do anything to prepare for my sprinkler installation? You can feel free to contact us with any questions beforehand, but we will take care of everything else. That means taking care of permits, arranging for plumbing, and locating any underground utilities that could affect installation. 2How long does it take to install a sprinkler system? We strive to install sprinkler systems in the timeliest manner without sacrificing quality. Installation time may vary depending on the size of your project, but often can be completed within two days. 3Will my lawn be damaged when I install a sprinkler system? The technicians at Sunrise Irrigation exercise exceptional care and caution during installation and use equipment designed to avoid damaging grass. Depending on the existing condition of your soil and grass, your lawn should be completely recuperated from the installation process within two to three weeks. 1Does the type of soil on my lawn affect the sprinkler system? Yes. For instance, sandy soil generally requires more frequent watering in lighter levels of intensity. A soil that is rich in clay can be watered less frequently. Sunrise Irrigation specialists always assess your lawn’s soil, slope, and other important factors before coming up with the appropriate design and proper programing. 2Will it be difficult to operate my sprinkler system? The technician who installs your sprinkler system will provide you with instructions on operation and upkeep. We do not consider our job finished until you know how to use and manage your system in a way that keeps your lawn lush and your water bills down. 3Will the sprinklers still run if it’s raining? We install automatic rain sensors on our sprinkler systems that ensure that your sprinkler will pause its automatic watering cycle during rainfall. The sensor will reactivate after a sufficient amount of time and level of dryness. 4How will my irrigation system conserve water? We design and install all our irrigation systems with conservation on the forefront of our minds. Our systems allow for even distribution of water, eliminating the opportunity for water to be wasted on sidewalks, driveways, and other areas that do not require watering. We also help our clients program their systems to go off in the early morning, when minimal sunlight helps to prevent evaporation and less wind keeps water from being blown away.